I am the beautiful, the distinguished, the fabulous Loria Lange, named after Jessica Lange herself! 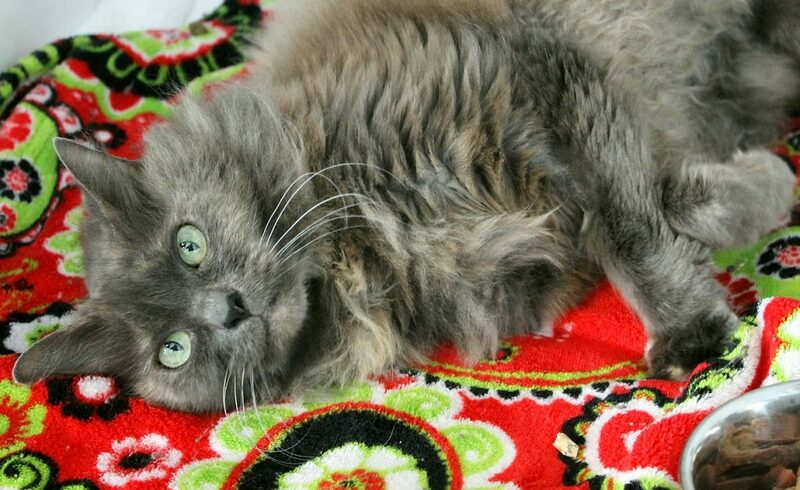 I am an 11-year-old, de-clawed sweetheart with the beauty and confidence of a refined actress and a heart of gold. I came to Pixie after my former owner was no longer able to care for me, but it is obvious I was well-loved, as I simply adore people and petting. If someone gives me enough attention, I will flop over and start “making muffins” with my tiny adorable little paws. I have lived around another cat before and would probably do just fine around other animals, though I’d be totally happy as your only one as well. My namesake may play a villain on TV, but my only agenda is to make you fall in love with me! Our story wouldn’t be an American Horror Story — it’d be an American Love Story! The doctor has given me a clean bill of health and I am ready to meet you, so what are you waiting for? Let’s walk down the red carpet together and ride off into our happily ever after! I’m currently living at Pixie and come to you spayed, vaccinated, and micro-chipped (and with a recent dental already done!) for an adoption fee of $80.